As a college student you’ve probably had to sit through at least one English class. For the average person not looking to make an educational career out of carefully analyzing plots, characters, and narrative evolutions, these classes can be a little dull. However, some of us—myself included—find the opposite. I have a distinct and all-consuming passion for literature. I love creating it, analyzing it, and simply enjoying it. One of my favourite things about literature is how it provides us with a kaleidoscope of perspectives. Every writer, whether their work graces book cover, film, or stage, has a distinct and affective style that greatly influences the characters they create. However, not all characters are created equal. What separates a good character from a bad one? The answer is three-dimensionalism. 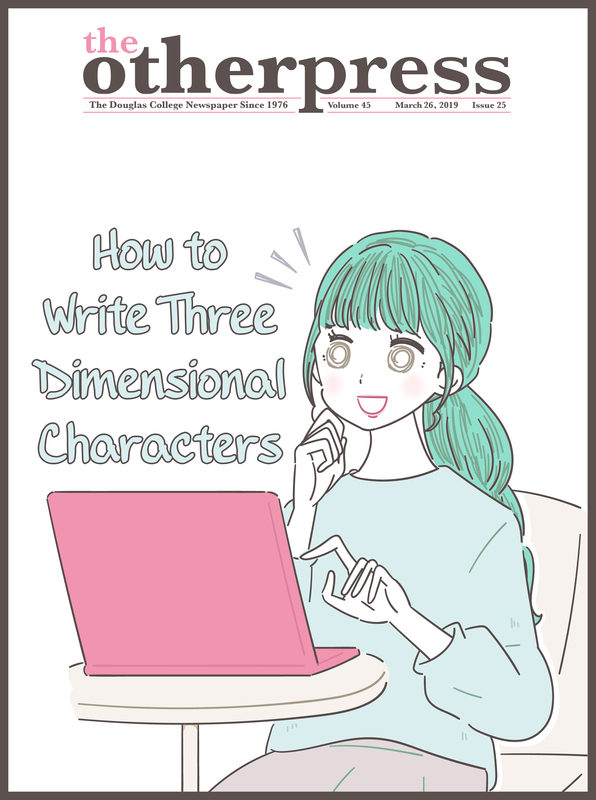 You may have heard of the concept of three-dimensional (3D) characters before. Otherwise known as multi-dimensional character creation, this process involves the formulation of fully realized, complete characters—as opposed to static character creation which bases character personality traits on common tropes or stereotypes. This is important because different narrative styles will use both of these processes where appropriate to better suit the ultimate, overarching theme of their plot. For example, a satirical piece will often populate its worlds with static characters to better emphasize whatever social critique it seeks to explore. For the significant characters found in many other genres of fiction, such as speculative or family sagas, readers expect the writer to create fully 3D characters to better draw their reader into complete immersion. After all, a writer can formulate the most imaginative, beautiful world possible—but if the characters aren’t believable as actual people? There will always be something off-putting about it. One of the worst crimes in character development is the dreaded Mary Sue. If you’re unfamiliar with the term—or only know it from its titular use as a pop culture website—let me give a brief overview. A Mary Sue, or the male equivalent which is commonly called a Gary Stu, is a character who lacks flaws and is seemingly perfect in every way. The moniker originally started in the realm of fan fiction. A Mary Sue will often represent the author themselves, but they’ll be portrayed in an idealized way—so much so that the character seems disingenuous and entirely unrealistic. Though the name Mary Sue began in fan fiction, that isn’t to say that original worldbuilding and writing is always free of this sin. There are plenty of examples of Mary Sues in almost any genre of fiction, from Bella Swan in the Twilight series, to Wade Watts/Parzival in Ready Player One. What differentiates a Mary Sue from an author surrogate, which is a more well-received authorial insertion into a narrative—a good example is Scout in To Kill a Mockingbird—is that disingenuous character arc. If a character starts off as perfect, then they cannot evolve as the plot progresses. This lack of evolution makes the character seem unnatural, not to mention both stale and boring. The key to avoiding a Mary Sue is to make sure that your characters are fully 3D. This means giving them faults. No one is perfect—so no character should be either. People are full of contradictions, so don’t be afraid to analyze characters who seem to never question themselves. If you are a writer, make them have conflicting emotions that they struggle with, as you’d expect from any human being. What separates a good character fault from a bad one is that a character fault has to act as an obstacle—otherwise there is no point to it. If a character is arachnophobic but they never encounter a spider, how does that flaw effect the plot in any way? How does that make your character less perfect? You also want to be able to spot stereotypical or superfluous character faults. Examples of these include female characters thinking they’re too fat, or male characters with devil-may-care attitudes. Overcoming these particular faults has been done so many times that it is no longer a valid plot progression—it is an after-school special. However, using these attributes and combining them with other faults goes a long way to making your character believable. No one person has only one bad habit—so no character should either. Also be wary of creating exterior solutions to internal problems. Using a romantic relationship to solve someone’s self-esteem issues doesn’t work in real-life, so it shouldn’t work in written form either. It is important to note that as a writer, or a reader, not all characters have to be likeable. One common myth floating around the literary world is that if you don’t like your character, no one else will. This is false—everyone loves a villain. Characters created independent of an author attempting to make them likable are some of the most dynamic. Some of my favourite examples are the Ripley series by Patricia Highsmith, or the original Millennium trilogy by Stieg Larsson. There is some attempt to make both Tom Ripley and Lisbeth Salander—the main protagonists of the above series, respectively—sympathetic, but they aren’t people you’d want to be BFFs with. Faults are a tricky thing to get a handle on, so if you’re a writer, start with what you know. Use your own faults. Your personal experience can go a long way in making your character’s voice authentic and therefore believable. Authentic voice and internal monologue are among my current struggles. It is important to make a character whose perspective you can inhabit, but also to make sure they’re not just you in written form—unless that’s the goal. For me, designing a character who I see as different from myself is what I want. Certain aspects of personality can be self-reflective, but ultimately, I want my characters to be distinct. That becomes difficult when you may be unfamiliar with the narrative precedent your characters will set. In an internal monologue, or in first-person perspective, the narrative needs to change to reflect the character’s voice. For example, it seems as though writers often struggle to write characters of different genders from themselves. This has nothing to do with biology and everything to do with how gender norms are socialized. A perfect example is Oryx and Crake by Margaret Atwood. The main character Snowman is completely disinterested in his own life, and he seems to be only motivated by his own sexuality and guilt over not being strong enough. This is a very stereotypically “male” point-of-view—what a woman might assume a male internal monologue is like. This deficiency can be rectified, however. Reading up and educating yourself on how different people speak and describe things can give you a better grasp on how a similar character may sound internally. Keep in mind, this internal voice shouldn’t erase or overshadow the story the author wants to tell. It should only accent it. Closing out, I want to encourage everyone to take the time to either create or examine a character critically. Being aware of how the characters are written is often the first step in determining if you’ll enjoy the narrative or not. As I said before, if there’s something wrong with the characters, then there will always be something off-putting about the plot.